Chevonae is an analyst at Relay Ventures, based in the Toronto office. Working with the investment team, she develops data-based principles to support Relay’s mandate; her early breadth of experiences uniquely positions her to analyze opportunities and spot patterns. Prior to joining Relay Ventures, Chevonae held technical internships with a focus on innovation and design at start-ups, robotics labs and large EPCM firms. 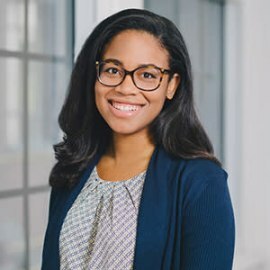 Chevonae holds a Master of Engineering from the University of Pennsylvania (UPenn), as well as a minor in Engineering Entrepreneurship earned from her undergraduate studies. She was involved with the Advancing Women in Engineering Program and Wharton’s Mack Institute for Innovation Management.